HURRY! 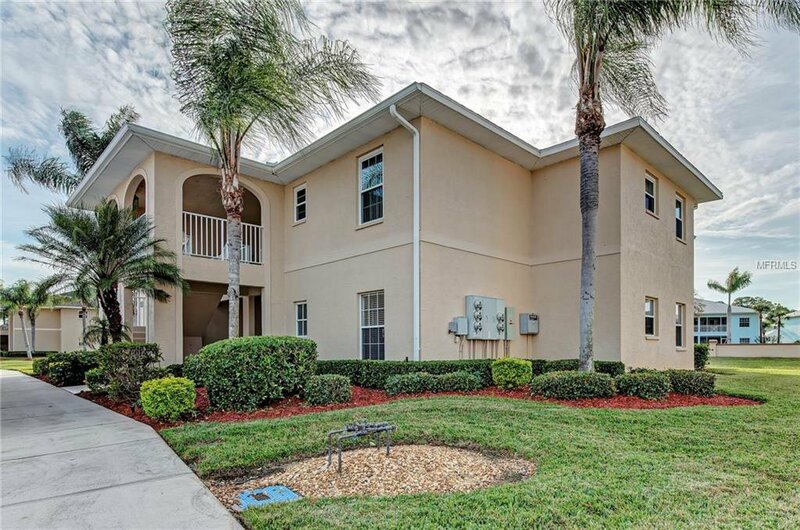 This BEAUTIFULLY UPGRADED 3 BEDROOM, 2 BATH END UNIT CONDO in Sabal Trace Gated Community at Linkside is ready for you! Includes covered Carport & storage area. Almost 1500 sqft of luxury living with tall cathedral ceilings & Impact Hurricane glass windows installed (2016) Bright & spacious! Perfect for entertaining friends! Beautiful upgraded eat-in Granite countered Kitchen with solid wood Maple cabinets with pull-out drawers, tiled back splash, stainless appliances, Reverse Osmosis system for drinking water & additional stand up wall pantry for added storage! New refrigerator too! Enjoy Elegant Bamboo wood floors in the living & dining room with custom blinds & window treatments throughout. Eye catching view of the sparkling pond from your own private Lanai/Florida room! Includes vinyl sliding windows & custom roll down sun shades so you enjoy all year round! Master bd. has sliding doors leading out to the patio and is painted in soft neutral colors. Color theme is carried through to the Upgraded master bath with Quartz counter top, dual counter bowl sinks, upgraded commode, tile flooring, stainless faucets & seamless glass shower door. Guest bath includes updated vanity w/cultured marble top vanity, mirror, newer commode & tiled shower/tub with diagonal laid floor tile. This wonderful home also includes a inside utility room w/ full size washer/dryer & storage. Enjoy heated pool & friendly neighbors with activities all year long. Shopping, restaurants & Library all close by! Call us today!